There are some shows you want to come blazing out of the gate and some shows you just want to comfortably return to. 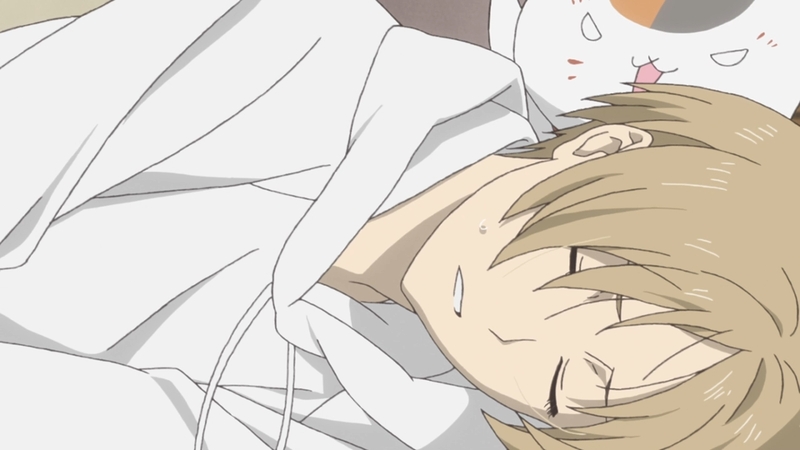 Natsume is definitely the latter. This was one of the most comforting first episode for a sequel that I’ve seen in a while. 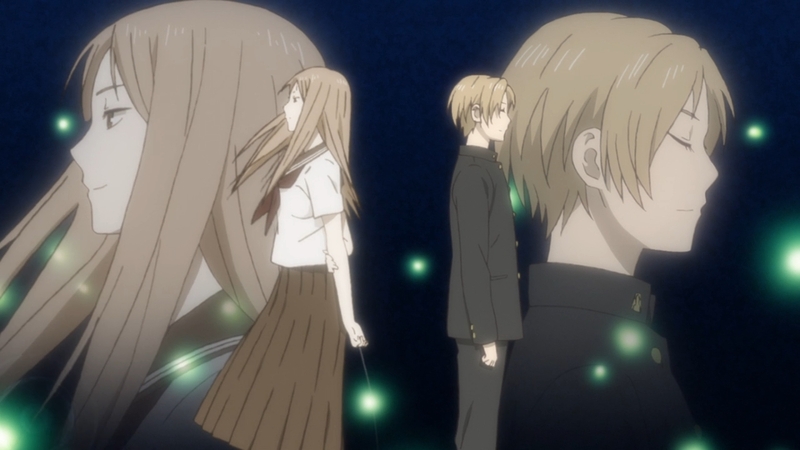 The last episode for Natsume came out in 2012, but this episode felt like it was just last week. 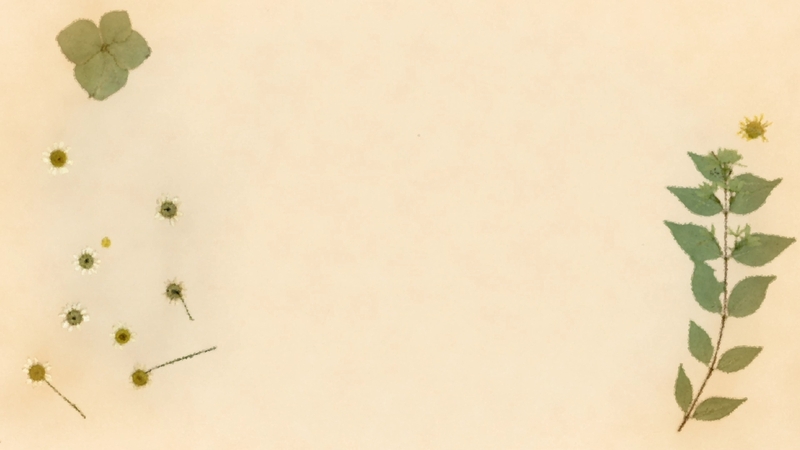 Everything just felt very much familiar and back to the status quo. The music was basically the same, the visuals were the same (despite a different studio animating it) and the characters were the same people I remember seeing in the previous season. That may not be appealing for some people, but for this show I very much appreciate it. 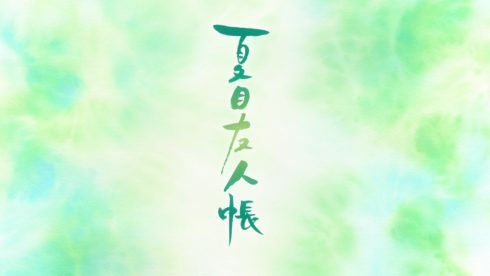 Natsume is a franchise where things slowly develop over time and this very much continued that. 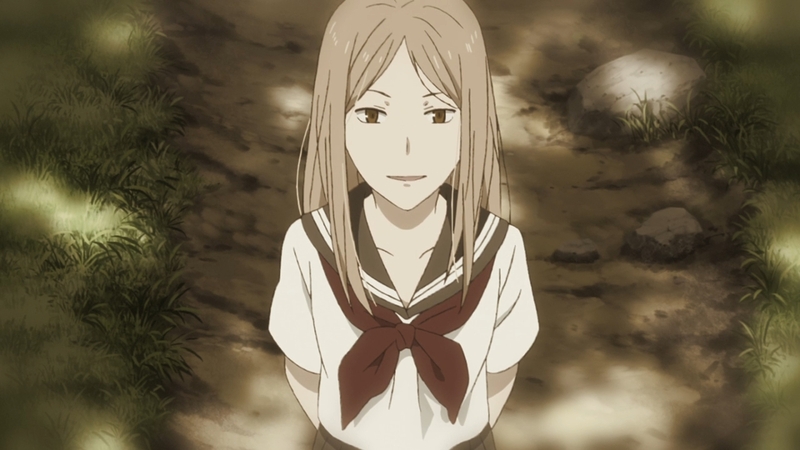 If you haven’t been following Natsume to this point…this isn’t the place to start. This is one case where I think you should absolutely go back and watch the previous 4 seasons. It is a great franchise that if you can get into it, will keep you engaged from start to finish. The show did a good job of recapping the basic points as well. 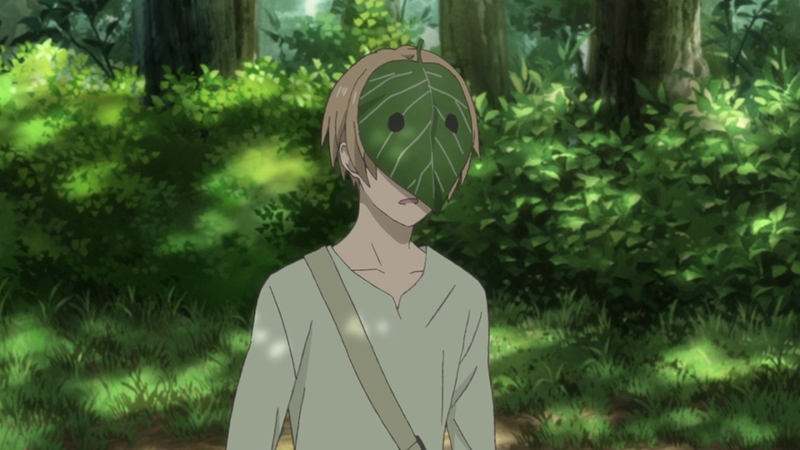 Natsume is a kid with the ability to see youkai. But unlike some series this didn’t lead to some kind of supernatural battle story…it lead to him being called crazy. This kid had a horrible childhood with losing his mother at a young age and being raised by people that couldn’t see what he could. It has been a long road for Natsume to get to this point. Just getting to the point where he can smile and enjoy being where he is. It’s easy to just talk about how enjoyable this show is. Tastes certainly differ, but for me this is a great franchise. This episode in a sense didn’t have a lot happen, but it advanced things. We learned a bit more about Reiko which isn’t that unusual for the series. 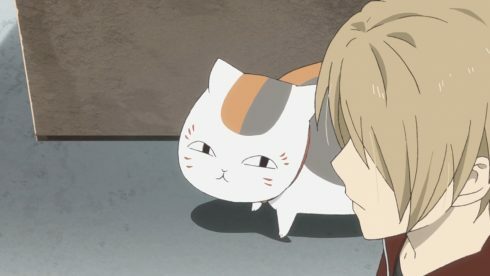 I did appreciate the fact that we got a mention of the guy that possibly is Natsume’s grandfather. 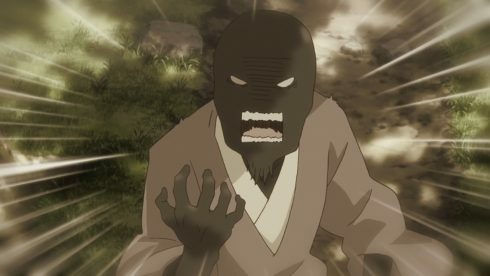 We did eventually need some kind of mention of this mysterious figure since obviously his mother had to come from somewhere XD. Of course I never believed that Reiko had purely stolen something out of spite. 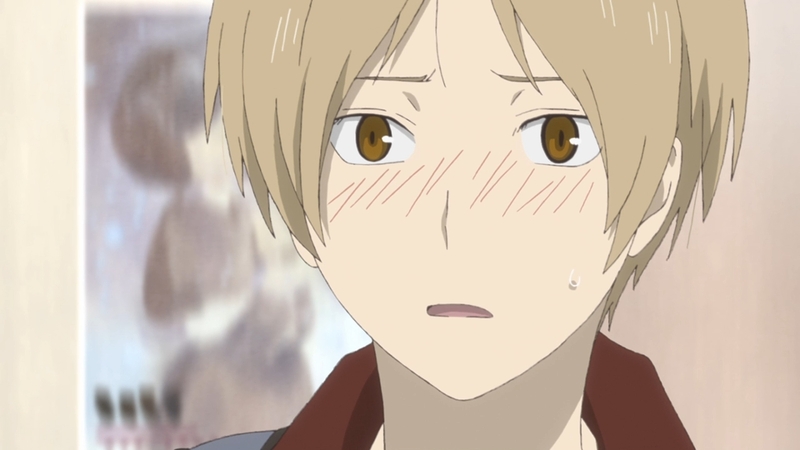 Not that I can blame Natsume for wondering what the truth of the matter was. I think he’s gotten to the point where he does have trust in Reiko, but he still only knows bits and pieces. It was nice to see Reiko trying to do something good there. She went out of her way to go find that kid and help get her back home safely. And even after that point she went ahead and tried to return the doll. Though things didn’t work out perfectly…Just a shame that people treated Reiko like that even when she tried to do the right thing. 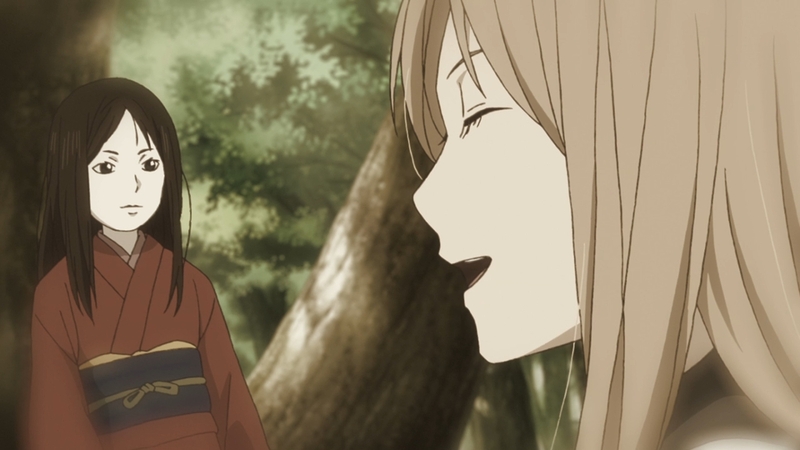 This episode moved things ahead while again showing off the treatment Reiko’s side of the family suffered. To a degree you can understand how people that can’t see something would misunderstand those that can. 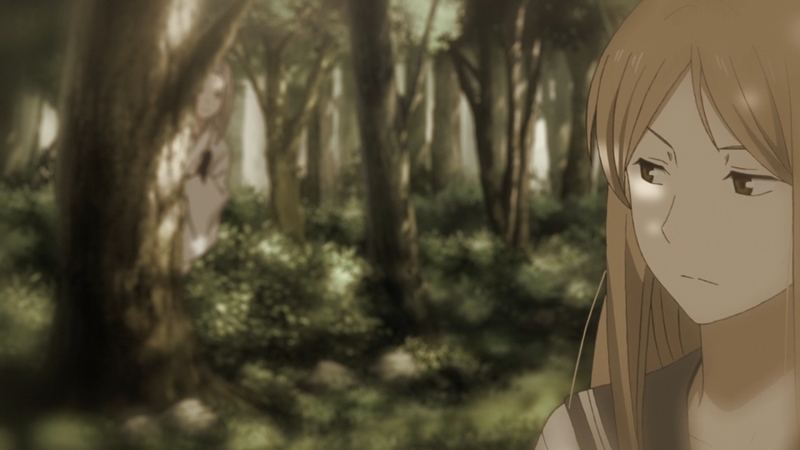 But, at the same time there was never any real attempt by those people to understand Reiko. Instead she and her family were treated like insane people. It was just an utter shame how things played out. 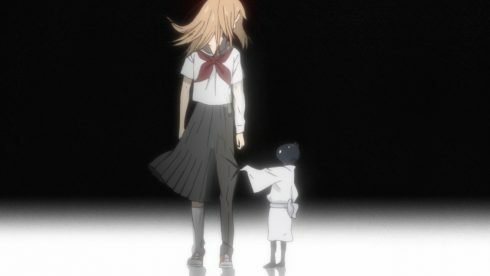 Not that they were the only ones in the world that could see youkai, but neither Reiko nor Takashi were born into big families with that power. 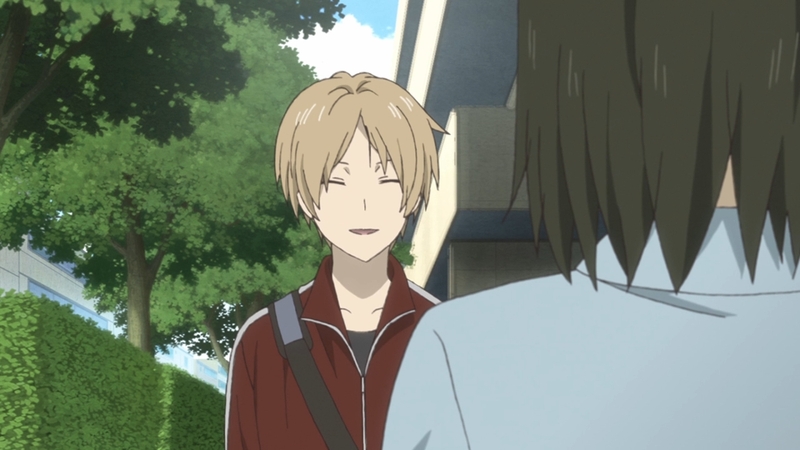 It has honestly been a while since we saw Natsume’s lying face. It is still utterly sad seeing him actively having to pretend. This guy having to lie and say that he was just playing around is so frustrating. 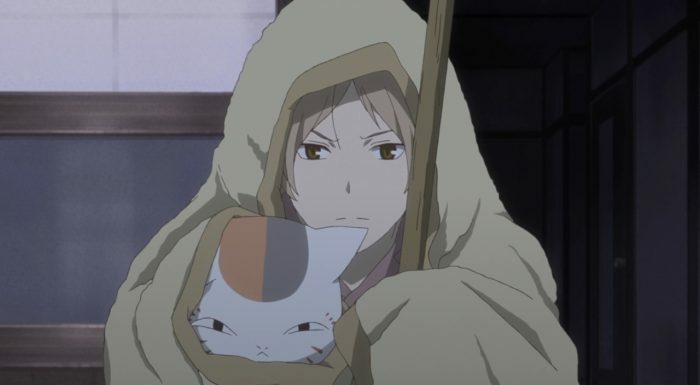 Natsume having to pretend like his relatives didn’t treat him like garbage. He has to be the unbelievably mature person and keep up that front of politeness just to try and get any information he can. 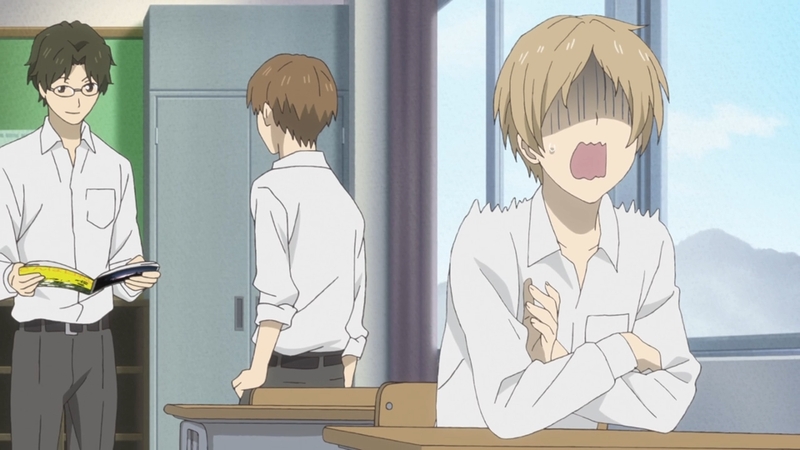 It really does annoy the heck out of me that Natsume has had to do things like that. Truly it is a comfort that he has a few people he can be honest with and not carry everything alone. 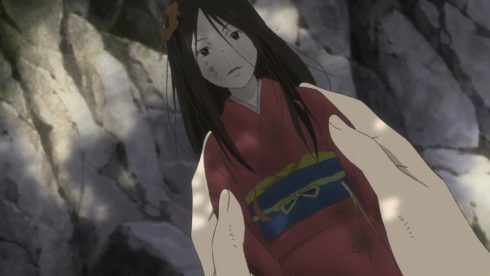 Kayatsubo was definitely one creepy youkai. I mean it says something when even other youkai say “this person is freaking insane!” Youkai in a lot of ways are like people in that there are good ones, bad ones, and crazy ones. Kayatsubo is one of the crazy ones. Her mental processes and viewpoints are so detached from everybody else that it is near impossible to deal with her. Looking at it from the outside, Kayatsubo stole that doll. And then she just decides it is her friend and treasure because she picked it up. 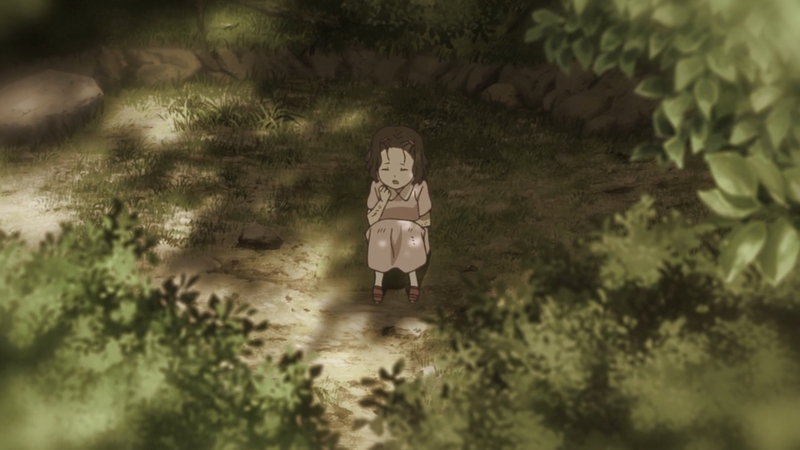 All Reiko did was try to return the doll to its owner and when that failed…left it for Kayatsubo to pick up. 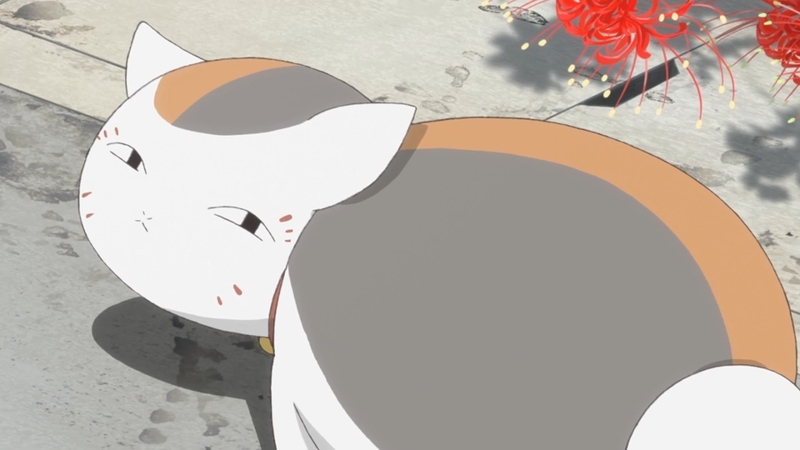 It isn’t really Reiko’s fault that Kayatsubo is so blind she can’t recognize the doll after it has gotten a bit dirty. Honestly…I hope she takes really good care of that doll. My sympathies to anyone nearby if she leaves that doll outside and it gets dirty. At that point she will fail to recognize it again and go on a rampage. 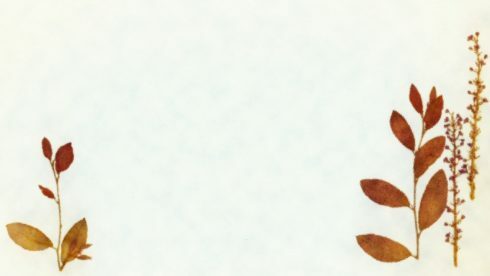 There is just something very much broken about that character. If all those people who talked bad about Reiko want someone much closer to crazy to check out…I’d love to introduce them to Kayatsubo. I can’t say this is one of the best or memorable of the OPs for the franchise. It was…alright. The song itself was pretty average. It doesn’t quite get me excited for the episode. What does a lot of good is all the shots in the OP that point to or acknowledge previous episodes and characters. This show has had a great run this being the fifth season of it. It was nice to see those familiar faces again. The ED was alright as well. Honestly I really liked the first few EDs which had strong lead in songs. This one had a lead in song, but it was pretty quiet and not quite as impactful. 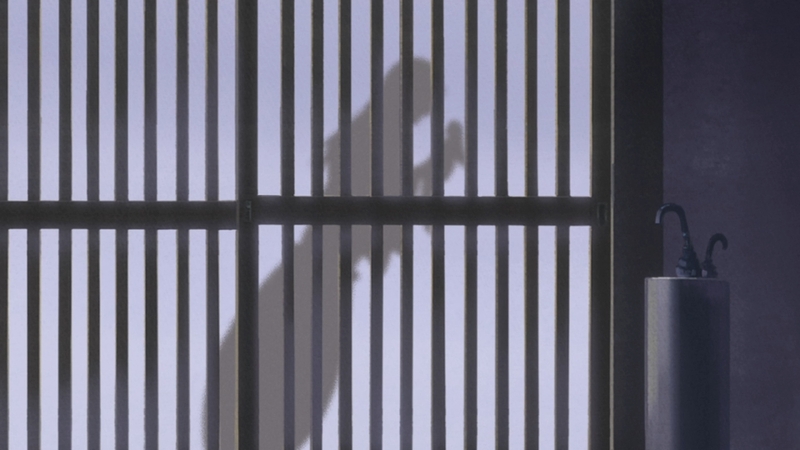 The ED itself is pretty plain. Not that Natsume hasn’t had some pretty plain EDs in the past, but usually they visually told a story. This one had a lot of simple pictures of plants and such. That might tie into the lyrics (I don’t know), but it does leave it feeling a bit lacking compared to the past. On the positive side I think the song is a bit stronger than the OP. So there is that XD. There wasn’t that much else to say about this episode. It was nice to see Natsume confide in Takuma about his problems. Natsume does often bottle things up too much and it shows his growth that he can talk to someone about his grandmother like this. 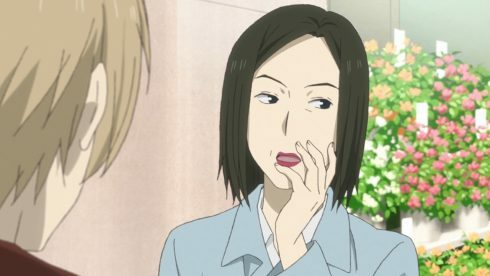 Natsume has a very strange kind of relationship with his grandmother. He has seen so many images, memories, and flashes of her from the perspective of other youkai. But, unfortunately she is dead and he’ll never be able to meet her himself. It is kind of a sad thing. I will absolutely be picking this one up. 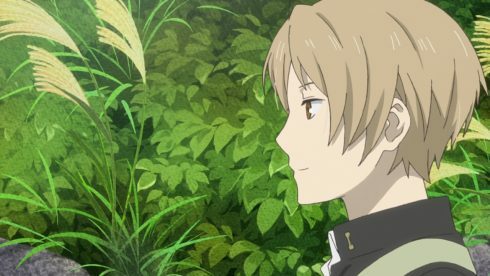 Natsume is just one of those franchises that I’m glad to see return. There was no disappointment about coming back to this series once more. This is one show where I’m looking forward to the slow, but steady progression. We got another hit on the emotional side with just that meeting of Natsume and his relative. This show has the ability to tell some good stories that make you care about what is going on. Can’t wait for next week.